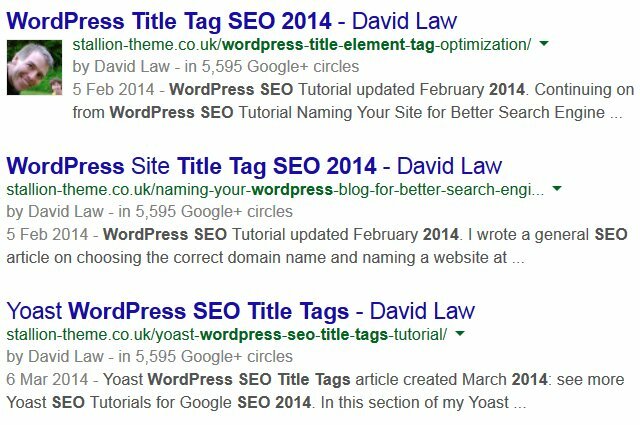 A Google search for “WordPress Title Tag SEO 2014” used to list a page high in Google (1st result). As you can see from the screenshot the Google search shows the pages title tag plus my name: even though my name isn’t in the title tag code wise. 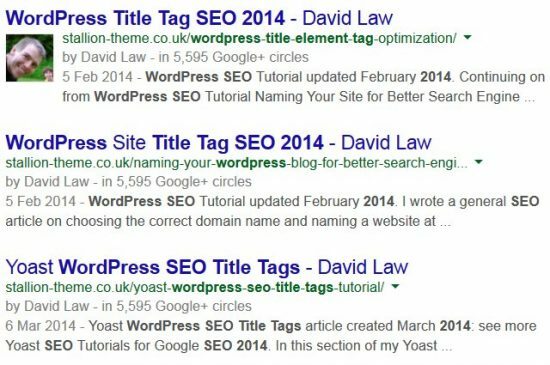 If you view the title tags HTML source it doesn’t include my name, Google had associated the site to my name David Law: due to all the comment backlinks that use my name as anchor text.